Storefront Commercial Signs – Eternally new in appearance due to its durability, yet also nostalgically evocative of a bygone era, aluminum signs are our first and foremost recommendation for durable storefront signage, both indoor and outdoor. 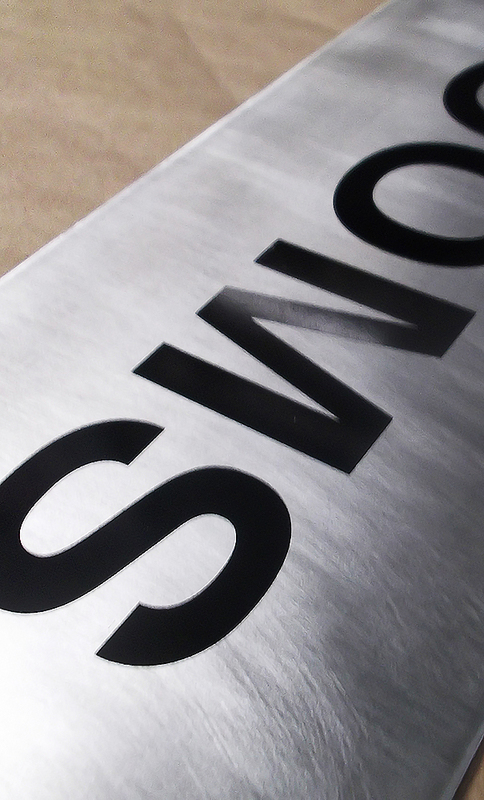 Since aluminum excels outdoors and shines indoors, there is a wide variety of potential uses for this type of signage. Both indoor and outdoor locations can benefit from the use of this ever-bright, attention-grabbing, easy-to-read-from material. Indoor use – You want indoors signs to last forever. Whether you’re advertising your menu, a local beer, or a service that you offer to customers, you want to make sure it will be free of rips and tears and an indoor aluminum sign is a great tool to achieve that goal. Outdoor use – Aluminum is an excellent choice for just about any sign you can think of that you want customers to see before entering your place of business. You want these signs to withstand the elements. From real estate signs to company information signs, aluminum outdoor signs are made to last. Instead of being disfigured by the weather or simply by the passage of time, your sign will remain as bright and clear 7 years from now as it looks when first installed on your property by our team of sign installation professionals. Call Caya Signs today at 250.753.5213 to learn more about our aluminum sign services, or to get started creating an aluminum sign as visually memorable as it is long-lasting.